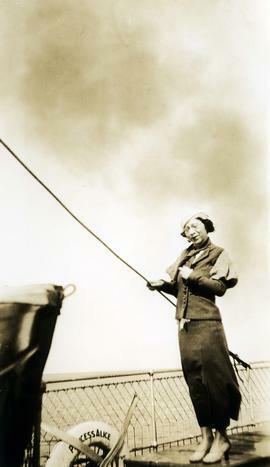 Photograph depicts Ann Fromson standing on the deck of a steamship. 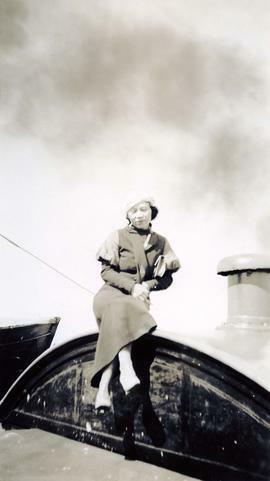 Photograph depicts Ann standing on the deck of a steamship. Photograph depicts Ralph Fromson standing on the deck of a steamship. Photograph depicts Elaine at the dock. Photograph depicts Elaine at a dock.